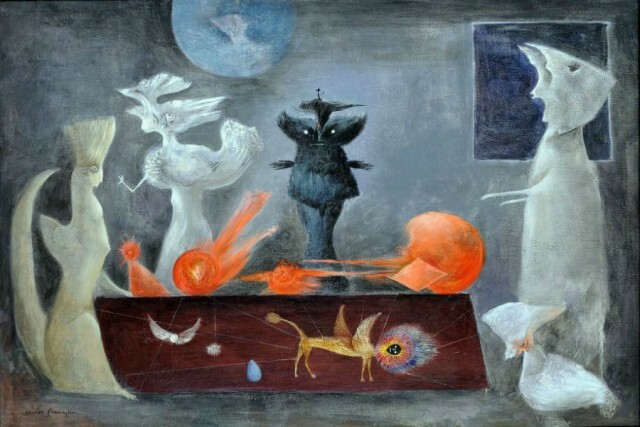 At first viewing, Leonora Carrington and Cathy Wilkes appear to be slightly strange bedfellows: one a surrealist painter, poet, designer and all-round explorer of the imagination; the other a Turner Prize-nominated creator of domestic (and disturbing) mixed-media installations. As part of Tate Liverpool’s Surreal Landscapes season, both artists are exhibited alongside each other brandishing the descriptive title of ‘surreal’. But besides the general sense of mystery that permeates both oeuvres, how can two such apparently disparate artists sit comfortably side by side? Upon entering the exhibition, Carrington’s fantastical dreamscapes are the first to greet us. Immediately faced with the epic mural The Magical World of the Mayas (1963), we glimpse the essence of what Carrington referred to as her ‘visual world’. We are exposed to cloaked figures, part-human-part-animal forms, lifeless trees and apocalyptic landscapes, where the amorphous quality of the paint strokes only add to a dreamlike appearance. Amongst the myriad of otherworldly paintings, thoughtfully selected quotes taken from Carrington’s published creative writing help to navigate through the often bemusing personal motifs. Despite such interpretative aids, expecting to decipher such a dense and personal language of symbols and gain some insight into the artist’s inner most thoughts without some previous knowledge of Celtic folklore — or even Carrington’s mental health struggles — may be a tad ambitious. Walking through the gallery space, I acknowledged how little I understood about the works; not knowing much about Carrington before I entered, yet, as a result, gaining a great deal more in terms of what I initially felt. This retrospective creates a feeling of magic, as though one is in a museum of Carrington’s ‘visual world’ filled with artefacts from another dimension: carefully crafted masks are displayed alongside a large hand-painted wooden ship and original sketchbooks of illustrated poetry. 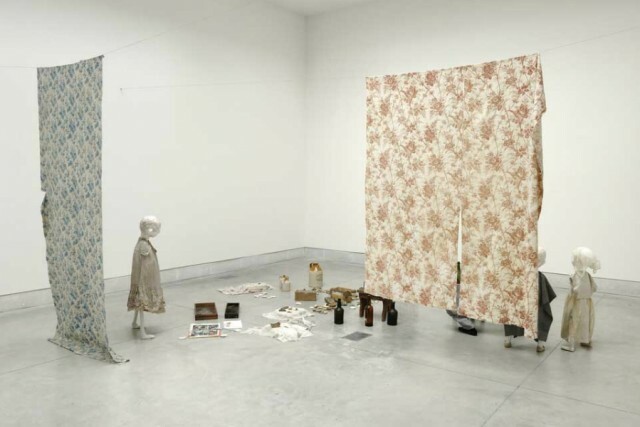 Beyond the whimsy of Carrington’s ‘visual world’, and just next door, Cathy Wilkes’ installations loom: a vast, open room partitioned only by sparse wire grids that hang from the ceiling and hover over the floor. While we are able to engage with Carrington’s work from the stand point of the objective viewer, with Wilkes’s installations the comforting distance between oneself and the canvas is removed. We are forced to walk amongst the troublesome scenes, and participate in a nightmarish vision. 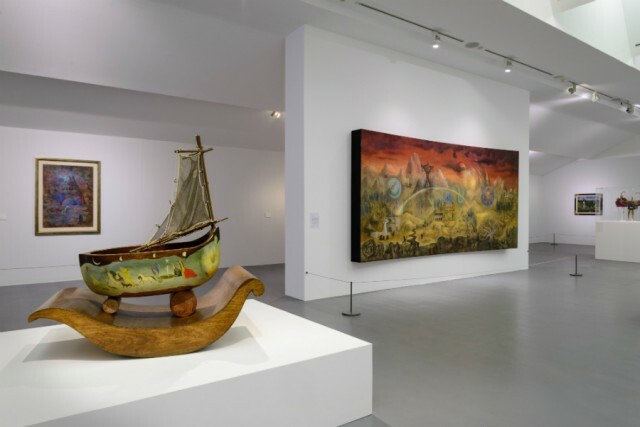 Although the same folklore and mythical imagery that infuses Carrington’s most surreal paintings are also present in Wilkes’s sculptures – such as cloaked figures, unrecognisable animals and symbolic objects – the subject matter is clearly rooted in a harsher reality. Harsher than I, at least, was willing to absorb. As I tip-toed in-between the lurid scenes, rarely have I felt such an unwelcome sense of foreboding in the otherwise secure setting of the gallery space. 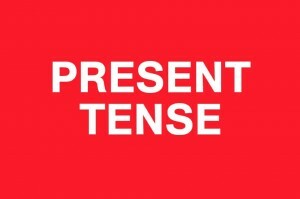 A male figure sits, arms removed and sleeves empty, slumped over a bottle as hooded, distorted children gather round the sorry sight: perhaps a reference to the social and domestic downfalls that accompany misuse of alcohol? A faceless child draped in linen lies motionless next to the carcass of a dead animal: a commentary on the injustice and suffering of poverty and starvation? 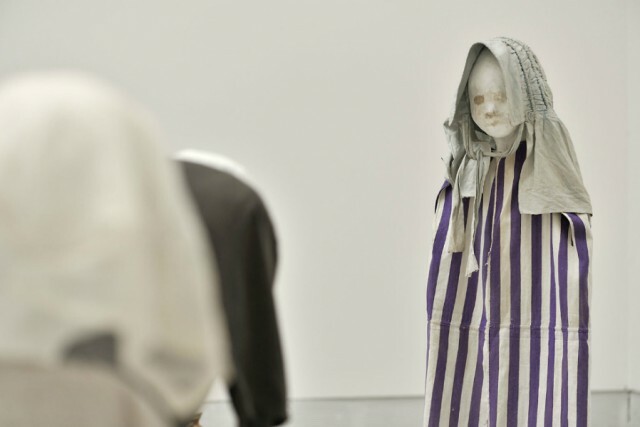 This feeling of foreboding may be a result of such social connections, or simply because of the disquieting practice of observing skeletal figures, hollow eyes and faceless children – either way it is the feeling that remains. Such visual worlds of fantasy are perhaps not intended to be dissected by the masses in order to understand some sort of higher meaning; rather, they are intended to provoke feelings and create an emotional response within the viewer. Perhaps this is why Carrington’s world lends itself so well to theatre: the only place where her mythical creations can be experienced in three-dimensional reality, and why Wilkes’ installations are so utterly engrossing and disturbing. So, how can these two unique artists sit comfortably side by side? 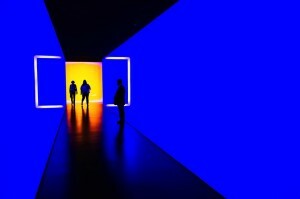 Above all, this exhibition, and what connects this unlikely pairing, is sensation: that punched-in-the-gut feeling; the slight awareness that you have drifted into another dimension that accompanies the experience of something that rests slightly off-centre. It is this moment that truly brings two dissimilar artists together and makes this show such a fulfilling and engaging experience to immerse oneself in. It has but one prerequisite: it is an experience that urges you to feel, not think, your way through what you are seeing.